New York City received a quadruple threat of Belmont alumni musicians this week as four surging acts played shows in the Big Apple. Many of the alumni are graduates of Belmont’s Curb College of Entertainment and Music Business. Moon Taxi, which recently signed a label deal with RCA Records, played a sold out show Tuesday night at Bowery Ballroom. The quintet was founded in 2006 at Belmont, where they had originally practiced together in the residence halls. The members include vocalist/guitarist Trevor Terndrup (’07), bassist Tommy Putnam (’06), lead guitarist Spencer Thomson (’06), percussionist Tyler Ritter (’08) and keyboardist Wes Bailey (’09). Meanwhile, recent graduate Devin Dawson performed at a showcase Wednesday night for executives for Atlantic Records, a performance that comes just weeks following a special presentation in his honor during the Belmont songwriting program’s 10th anniversary celebration event. In honor of his success, Warner Music Nashville Chief Operating Officer Matt Signore and Senior Vice President A&R Cris Lacy presented an endowed $25,000 scholarship in Dawson’s name, and the university matched the contribution, creating a $50,000 endowed scholarship. Also on Wednesday night, Judah & The Lion played a sold out show at Irving Plaza Wednesday night as well. Made up of Belmont alumni, the band released its second studio album, Folk Hop n’ Roll last year and followed it up in early 2017 with a deluxe edition that includes four new tracks. The band’s single “Take It All Back” reached the No. 1 spot on Billboard’s alternative chart, and the members are wrapping up their 2017 U.S. dates this month before heading overseas for 16 European shows. 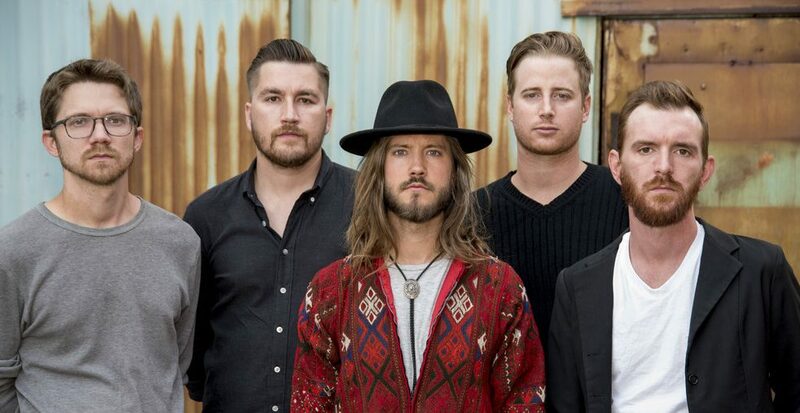 Finally, on Saturday night, Atlantic Records’ band and Belmont alums Wilder will be wrapping up its fall tour with Kaleo in a performance at the Hammerstein Ballroom. The band recently recorded its first EP with Grammy-winning producer Jacquire King (Kings of Leon, Buddy Guy, James Bay). All four artists are being booked by Creative Artists Agency (CAA), which also employs a number of Belmont alumni.